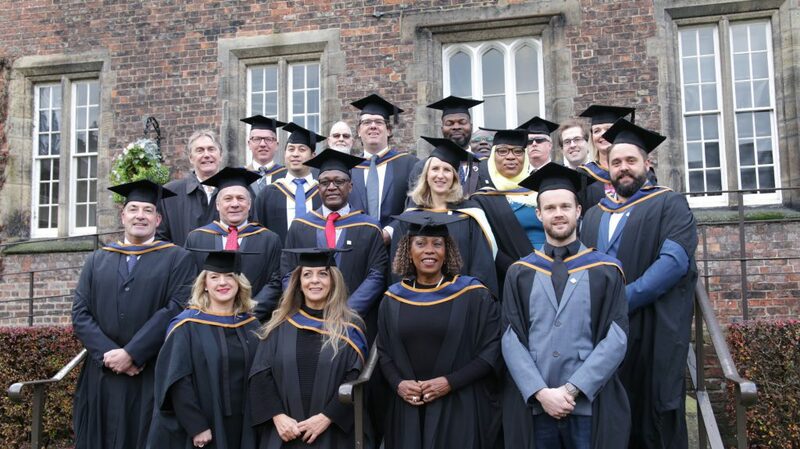 MALIC Graduation 2016 – a great success for RKC, YSJ, and all of you, our students! It’s that time of the year again – graduation time! I’ve set out from Switzerland on Tuesday 15th, eager to meet with our newest graduates and my friends from YSJ. Graduation is really a time of celebration, and you can feel it in the air – everyone is excited. Somewhat relieved that my ePassport still granted me access to the UK (sorry, could not help it, but I promise this is the first and last #Brexit reference), I rushed towards York and eagerly waited for Wednesday’s ceremony. 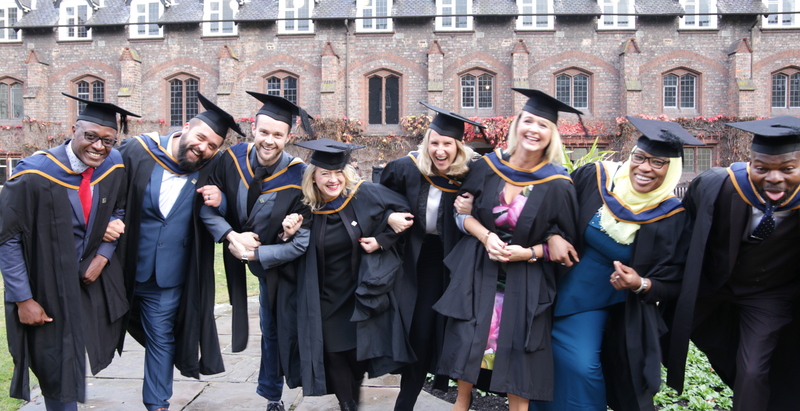 As luck would have it, I missed the “unofficial official” photo in the Quad, a tradition for MALIC graduates and the teaching team – I was promised I would be photoshopped in but until that version is produced, here’s the real one! A few people missing from the photo – but look at those smiles! 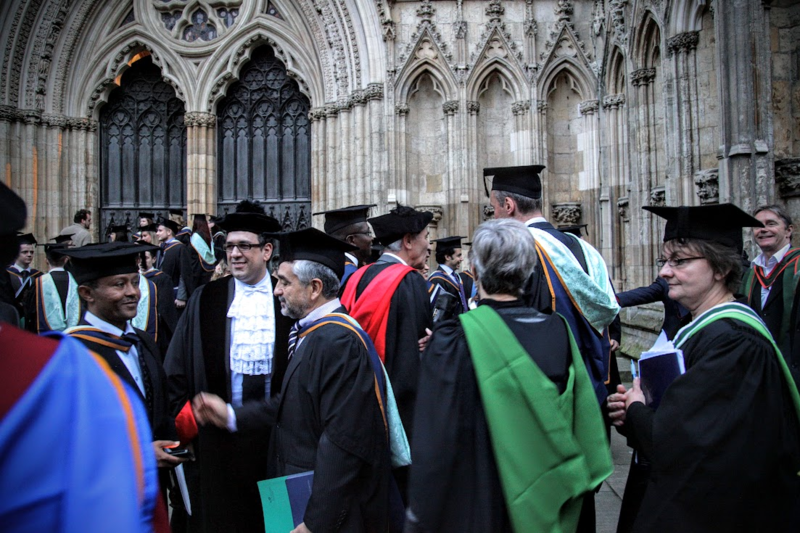 Graduation in the Minster cannot really be described – and although video does a better job than just words, it still does not fully allow you to make an idea of the atmosphere, unless you have been there and lived it – in which case, you are working with memory rather than imagination. Here are our brave MALICs on center stage – really really well done guys! So sorry for those who could not make it this year, and in particular our MALIC programme prize AND dissertation prize winner, Jelly Offereins! Looking for the future MALIC graduates! What are you waiting for? Applications are open! It seems that every time I write a blog post I am either on a plane, a train, or other means of transport, but somehow this is the best time to write about and reflect upon the recent events. Reflective thinking is important not only for our students, as an invaluable tool for learning, but for everyone really, whether a MALIC student or not. At the end of a week charged with exchanges and thoughtful discussion, I am coming to terms with the fact that these 20 brilliant individuals I finally got to meet in the flesh after one or two years of online interactions are now going back their own separate ways, richer in experience, friends, and understanding of what the next stage, the dissertation, requires them to do. 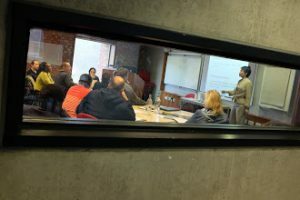 We have ended the week in a round-table discussion of their initial thoughts on the dissertation – some have a clear idea already, some are still looking for it. Sure, there are leadership, innovation and change issues everywhere, from government agencies to pharmaceutical commercialisation companies, and although their heart tells them what they’d like to do, we also need them to be pragmatic about it. 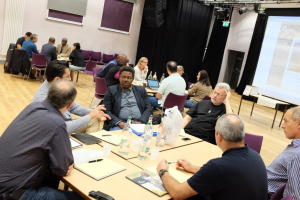 The group is a great mixture of geographical locations, from Colombia to New Zealand and Japan, and Zambia to … Glasgow, all in all 15 countries. 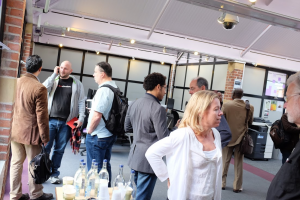 But above all, an amazing variety of backgrounds, with school directors, health and safety professionals, IT security consultants, creative directors, and healthcare professionals to name just a few. at the risk of repeating myself, just an amazing group. We have used this time together to collect some of their thoughts on the programme, on their experiences both online and on the residency, and we will be posting some of their thoughts as soon as the videos are ready. In the meanwhile, catch-up with the atmosphere via Twitter from the students directly – thanks for contributing guys and gals. Stay tuned for the interviews, and as Erich says, see you in the Minster in 2017! 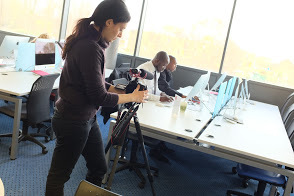 Perhaps you have already heard of the York St John MA Leading Innovation and Change (MALIC). One of your business contacts may be a MALIC, or perhaps you are one yourself. There are many MALICs out there – a network of more than 600 professionals who all have one thing in common – they have obtained their degree from York St John University, online. To be more precise, in a blended-learning delivery, with a one week residency in York or Zürich, by virtue of our exclusive partnership with YSJU. 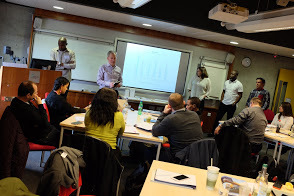 I am very excited to report that we expect an increase in the number of MALICs: true to their common mission, YSJ and RKC have recently met at the highest level in order to renew their commitment to deliver MALIC at a global level, reaching people all over the world and allowing them to study while continuing their (most often full-time) jobs. Professor Karen Stanton, Vice Chancellor of York St John University, and David Chesser, Chief Operating Officer, met with Prof David Costa, Dean of Robert Kennedy College, Stefano Costa, CFO, and Prof David Duffill, Deputy Dean, and officially signed the agreement. 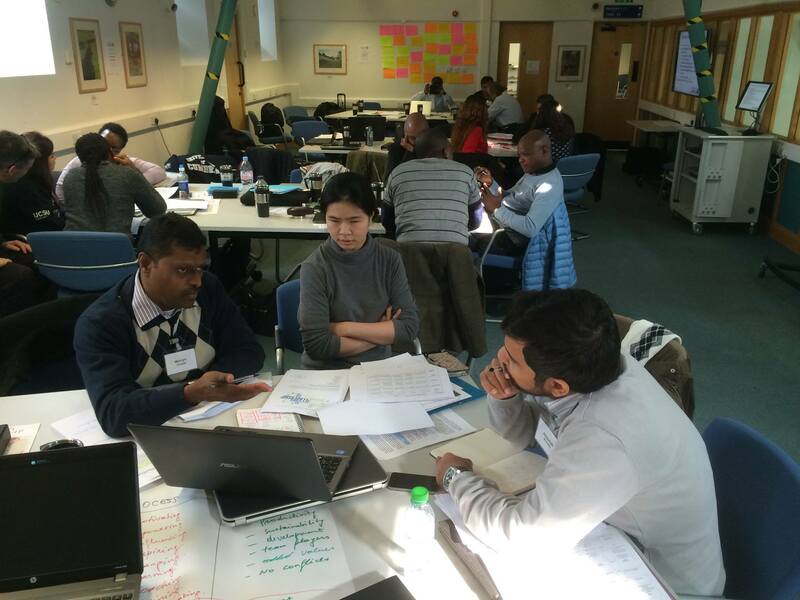 With graduates in over 100 countries, MALIC is one of the largest global Master programmes, and we are very excited about being able to increase these numbers and thus do our little bit in improving the overall quality of leadership in the work place. 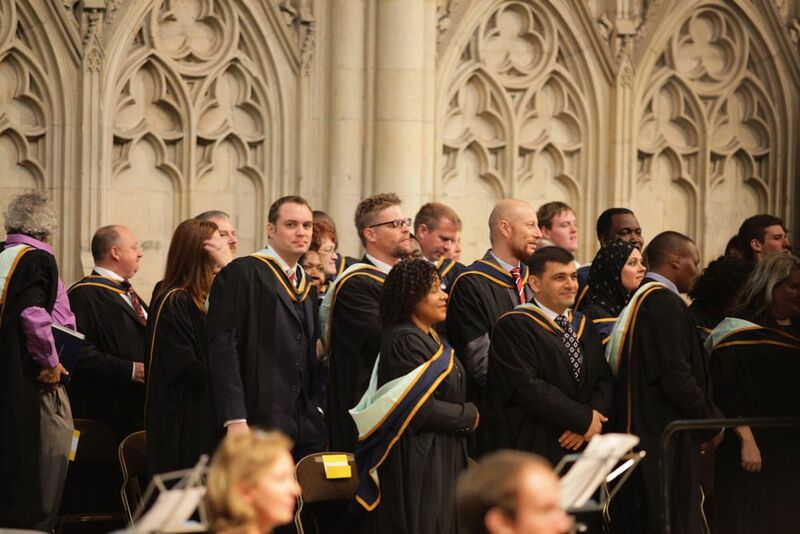 Whether it is at one of our York or Zürich residencies, or at graduation in the most impressive York Minster, it is always humbling to meet our students in the flesh – CEOs, senior managers, junior managers, serial entrepreneurs, vice-presidents – and yet they all went back to school, with a deep desire to improve and learn. For that, hat off! Sometimes I ask my students, when they start their first module, what made them join the programme. For many it was the desire to understand why projects fail, how to be a better leader, how to deal with a difficult boss, or simply because they never had the time to go to school before life took over! And one of the most rewarding experiences is to receive, every now and again, an email that talks about life after MALIC (although sometimes it is also about life during MALIC). Don’t think it is all milk and honey though – studying online is challenging, albeit rewarding. You need strong time management skills and discipline, but with proper support achieving an academic degree while working is doable. You get support from us, as academics, and from our amazing StudentCare team, but we found that, perhaps most importantly, the best support comes from your peers, your colleagues who are experiencing the same challenges and conversations. Eyal and Pius, above, have met at the residency in York after taking a few classes online together, and I’ve never seen a bigger hug than these two big guys shared. So, one might say we have done well so far – we will strive to do even better, and perhaps, who knows, if you are not a MALIC yourself, the time has come to become one! With a new, modular approach, in which you can build your programme in a module by module approach, there has never been a better time to learn! 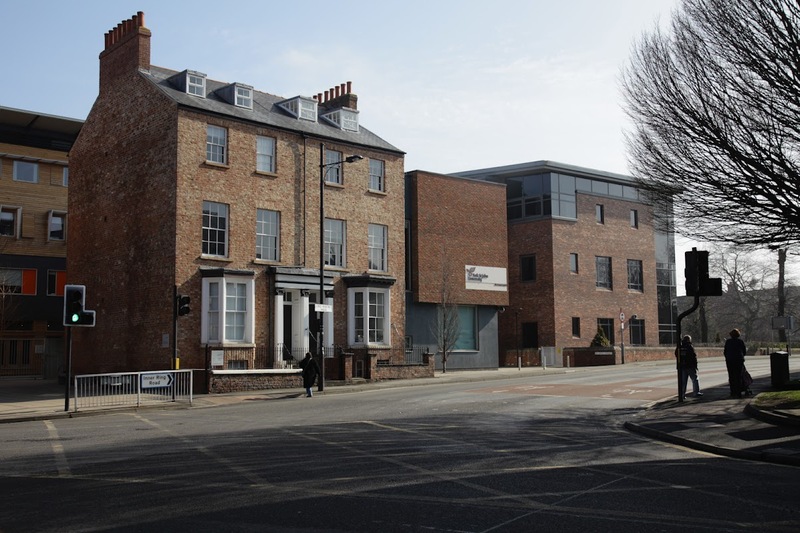 If you want to learn more about MALIC, have a look at our MALIC website and request a catalogue – our admissions team will also be happy to answer any questions you may have. Are you ready to write a Masters’ dissertation? It’s Sunday afternoon, and as I sit on the train taking me to Geneva airport, I run through a mental list of things to do during the week. I am headed to York, and more precisely, to York St John University. I am not the only one headed there – thirty more individuals, from all corners of the world (South Africa, South Sudan, Nigeria, UK, Australia, Zimbabwe, Zambia, Ecuador, Chile, Malaysia, Croatia, UAE, the Netherlands, US, to name just a few) are headed the same way. 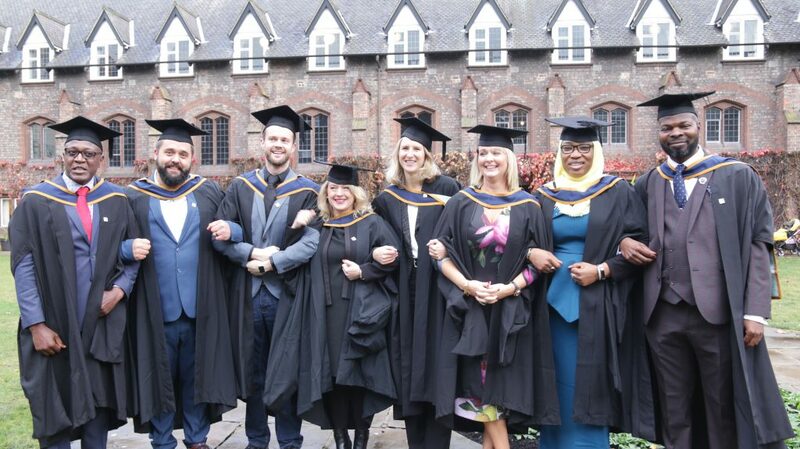 They are all students in the MA Leadership, Innovation and Change, affectionately known as MALIC, that we at Robert Kennedy College have been running with our partners York St John University so successfully over the past 4 years. One of the RKC students arriving in York this time around is the 600th one to do so since 2011! Monday morning, 9am – hellos and good mornings all around – recognising some faces from the online profiles – being surprised by others, who are bigger, smaller, younger, older, funnier or more serious than their online personas led me to think. They all have one thing in common though: they are here to learn, and to achieve what for many of them is still a dream for now: a British Master while keeping down their full time jobs in their countries. 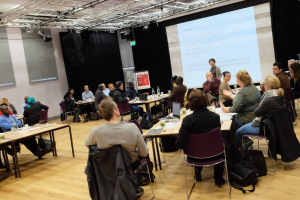 They are here to work on their dream – the team of lecturers from YSJ are going to take them on a learning journey throughout the week, from the very basic to the very complex issues, with a focus on developing their dissertations. One can see, and sense, a certain anxiety in the air – it is the uneasiness of dealing with the unknown, of not knowing what we do not know. By Friday that will be replaced by a different type of feeling, perhaps expectation and perhaps slight apprehension, for by then they will know more about what they do not know, and realise there is much more to learn still! 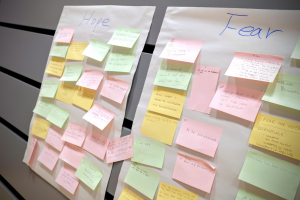 Thursday afternoon, 4:30pm – a short debriefing session – the team had shared on Monday their hopes and fears – how many of those have been realised or avoided? …and we are almost through. 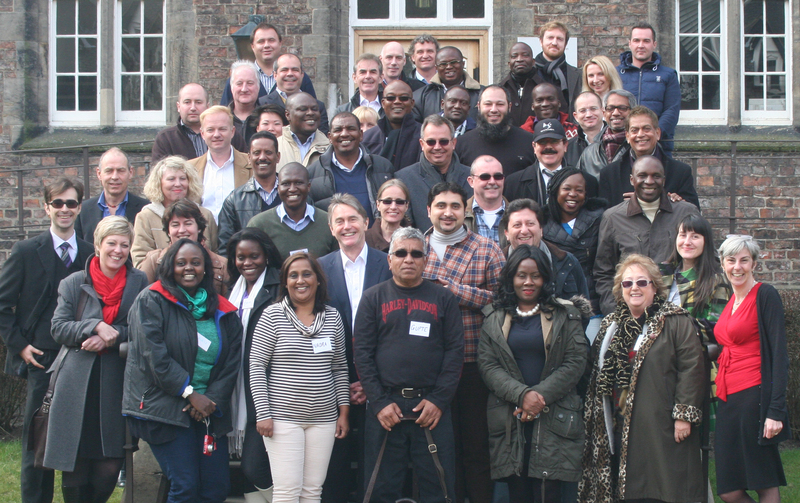 There have been four days of learning, discussions, group work, group fun, and group interaction. Interviews, facilitation, data analysis, coding, socialising and after-hours – these guys (and gals) have spent 4 days that have brought them so much closer than any online experience could. Some speak about that – it feels alone studying online – we want more video conferencing, more interaction – we want more real! Yet they also agree that we have to work within the contraints of what our lives allow us to do while keeping an income and taking care of a family. Perhaps as technology evolves, we will be able to make online education even better – but that is for another day. Friday morning – we have been building up towards this. Around each table a group of students and a tutor discuss their dissertation ideas, looking for that all elusive “perfect research question”. There is no such thing in reality, and each idea is different. “Our role, both as tutors and peers, is to expose any hidden assumptions and risks that you may not have seen,” I tell them. We keep coming back to our mantra “focus, focus, focus” – “be pragmatic, pick something that is doable, even though you may not be able to save the world” – that too is for another day! As always, the week has passed by in a haze of ideas, questions, emotions and names and faces that have become more familiar now. 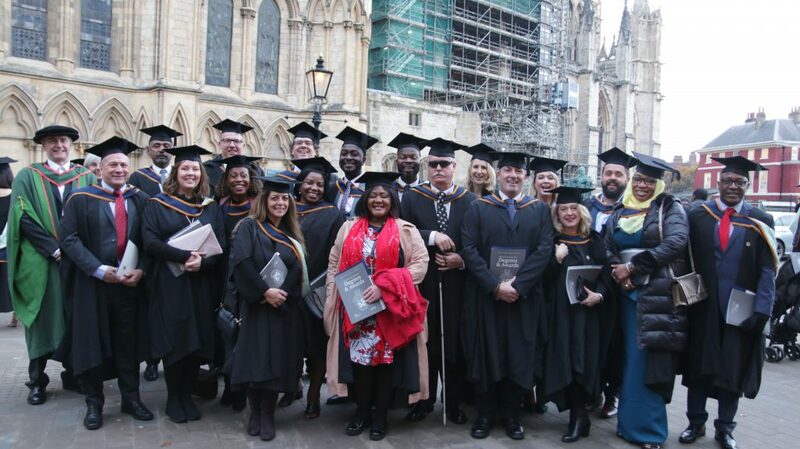 I’ll be recognising them as they pass across the stage in the York Minster on graduation day, looking all proud and excited in their graduation gowns. 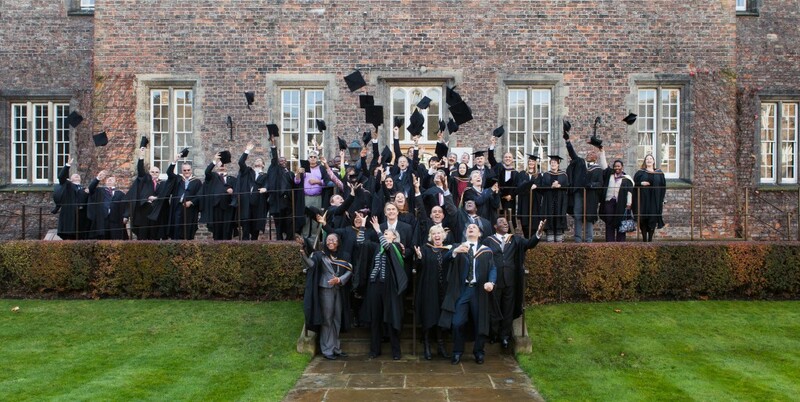 Until then, I have graduation 2015 to look forward to, with 120+ students set to come – how exciting! 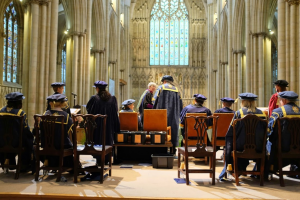 YSJ’s graduation ceremony must be (and I’m trying to be objective here) one of the most memorable experiences ever – I’ve lived a couple of them so far from the tutors’ “bench” – I can’t begin to imagine what it feels like as a graduate! I may just have to do a degree with YSJ myself just to get that side of the story too! It’s Saturday, and I’m back on the plane towards Geneva, finishing writing up my week’s journal – reflection, as they’ve all been told during this week (and told, and told, and told again), is a crucial part of learning – some have promised to take up the habit of reflecting and journaling – we’ll check on that at graduation. They have come here from all over the world, thirty individuals, and they are leaving York as a group, richer in friends and knowledge and motivation. Are they ready to write a Master’s dissertation? Time will tell, but we are confident they are. See you at graduation guys! Almost two weeks have passed, but memories are still fresh! September 9th, 2013 – a day like any other really, except I got to meet for the first time “in the flesh” 49 extraordinary people, all on the same day, and all in a single room! Granted, the room was not too big, but the energy and excitement as we got to know each other, shaking hands or finally pulling those virtual hugs into the real universe, was unbelievable. These forty-nine “students”, seasoned managers, board-room veterans, serial or aspiring entrepreneurs, from all walks of life, were representing all five continents (sorry Antarctica, we’re still waiting for your representative! ), and a staggering thirty (30!) countries. It is difficult to describe in words, and even more difficult to imagine, the richness of the interaction and the dynamics of such a special group. A biased population, for sure, driven by the desire to grow better. MALIC Sep 2013 York from Dr.David Costa on Vimeo. As the week progressed and we delved deeper into matters pertaining to research ethics, and quality of research, we also took great care to nourish and develop social relations, in places traditionally suitable for debate, such as pubs, restaurants and cafés, and to be honest, for me this is almost without exception the most interesting part of such a residency – discovering the people. As big a supporter of online education as I am (being actively involved in it! ), the added value of face-to-face interaction, for even the briefest of times, to me is invaluable. And Tim agrees! Students for students: Tim's advice for the residency from Dr.David Costa on Vimeo. 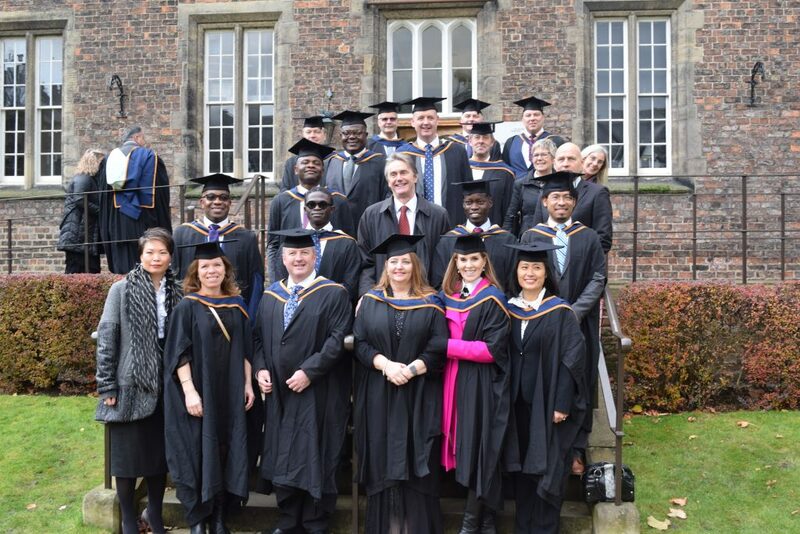 It would not be fair to leave out the exceptional team from our partner York St John University, who have done an amazing job of catering to all our needs, academic or logistic, and have done so with style. George and Irene, Sarah, Leanne and Natalie, thank you! Just back from York, after an exciting (albeit tiring too!) week with an amazing group of students. 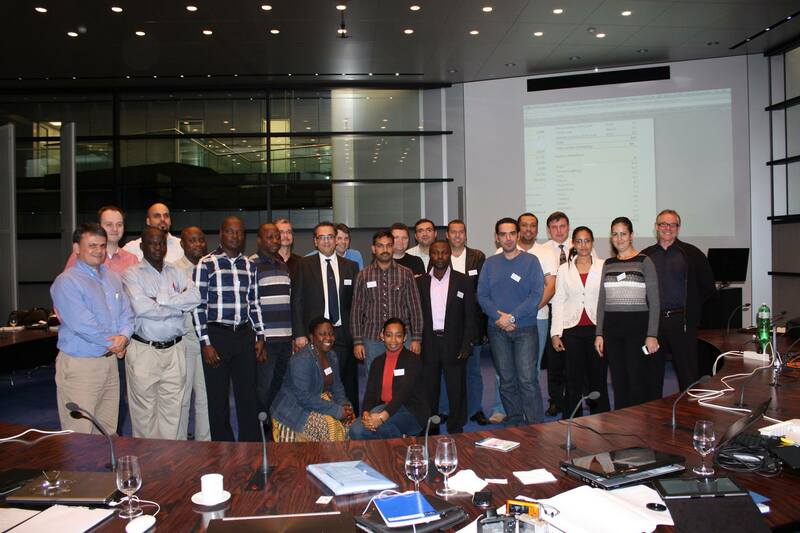 Forty-five people from all corners of the world, including the usual suspects South Africa, the UK, Nigeria, Kenya, UAE, but also some representatives from countries like Trinidad and Tobago, Ethiopia, Bangladesh, and Papua New Guinea. 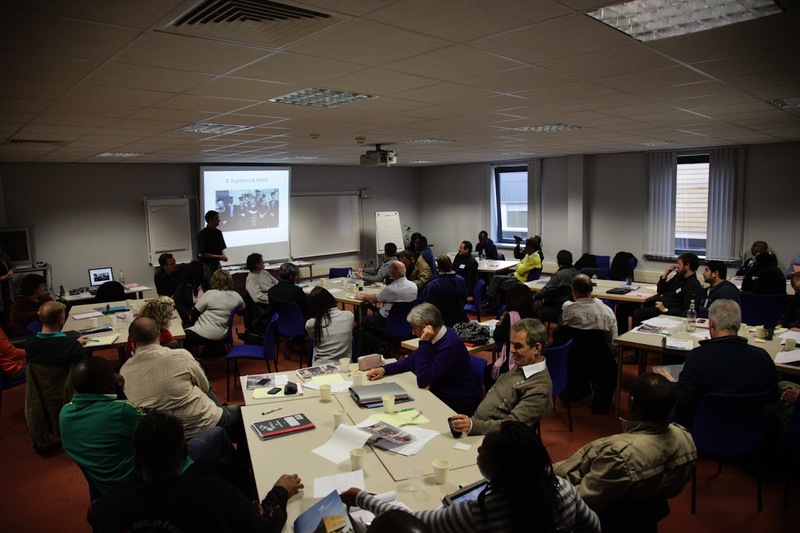 The wealth of backgrounds and cultures in any one of these residencies is a source of constant amazement and joy – learning is so much richer for everyone, including teaching and supporting staff. The week was quite busy, but luckily the weather was on our side and did not give anyone any reasons to wish to be outside the classroom – the sun only shone for 10 minutes on Thursday, just enough to give us time to take a group photo in the Quad, the oldest part of the University. As you can see, most people still managed to smile despite the intense schedule and serious discussions around research and Master level dissertations. Many of them will have gone back by now to their homes, thinking about their research subjects – and we seriously expect to see many of them back in York for graduation in the Minster. 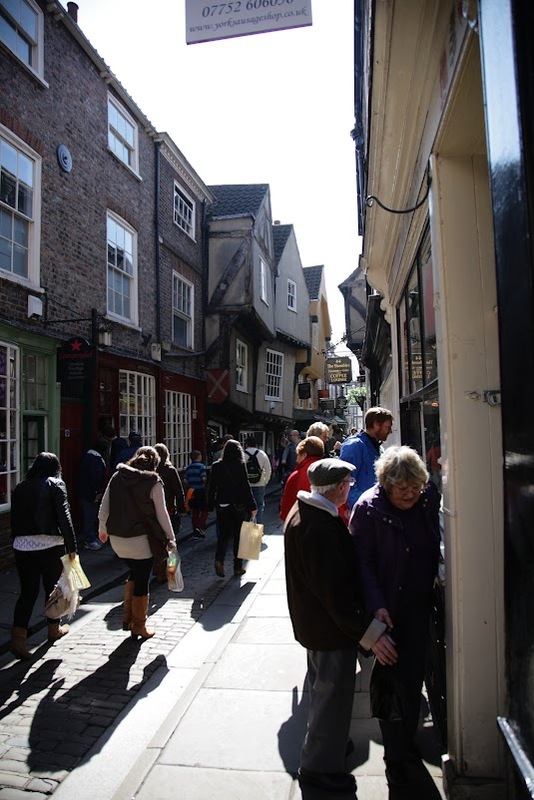 York does see a bit of sun from time to time, and even for periods of time longer than 10 minutes – a vibrant city, York has a very well developed tourism industry, and that can be seen by simply walking the streets of York during business hours. Since our students were slightly busy during those hours (we all were, in reality), I went out on a documentary mission on Saturday, just in case they missed it. First, the University, with its more modern part in which we were hiding from the rain all week, the FOSS building all the way to the right. 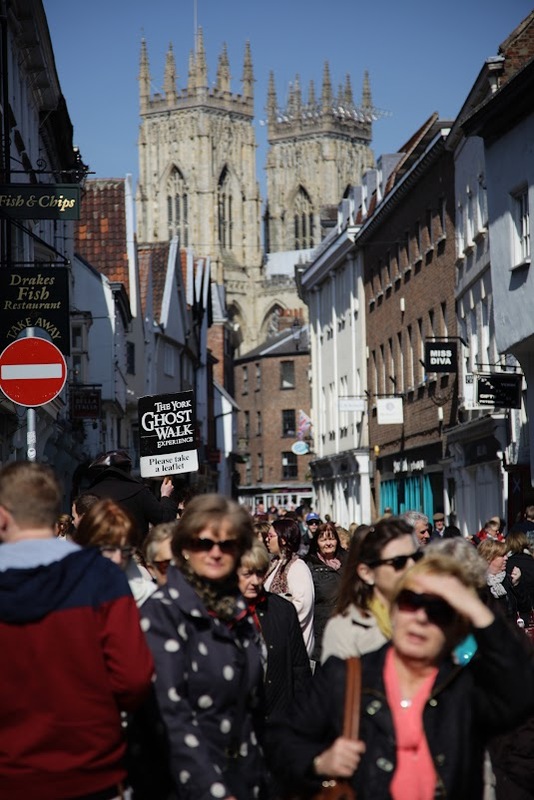 Then, the streets leading to the Minster, with a river of people enjoying the sun. 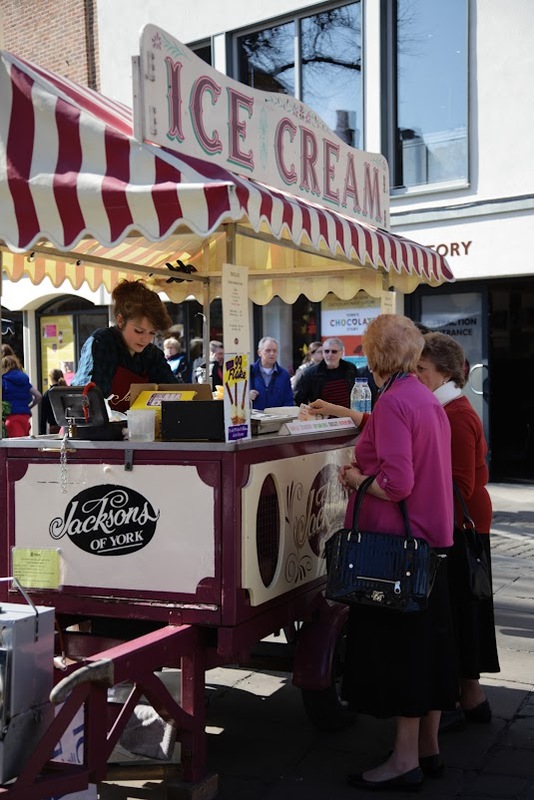 A glimpse into the past with this ice cream cart and its customers? 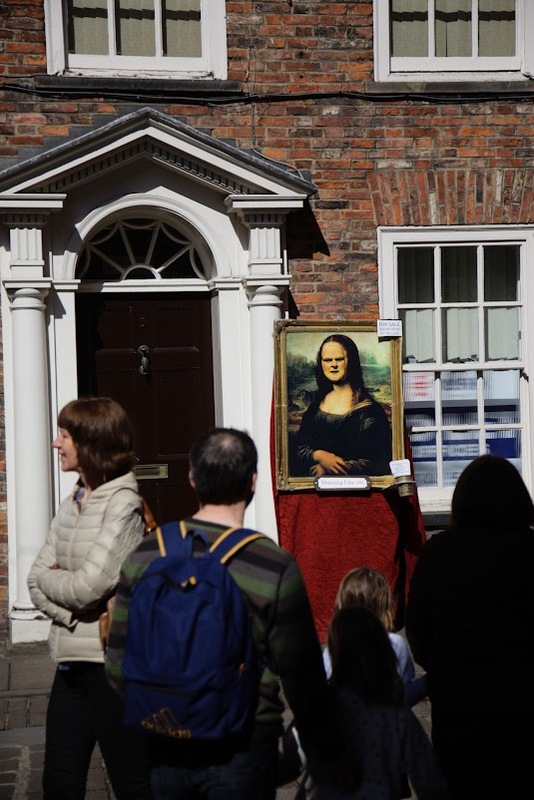 How about the Moaning Lisa, who feared she might fade away from such intense exposure to sunlight? Live music, which always manages to stop people in their tracks, well, if it is good, I guess, and Ed was indeed amazing! 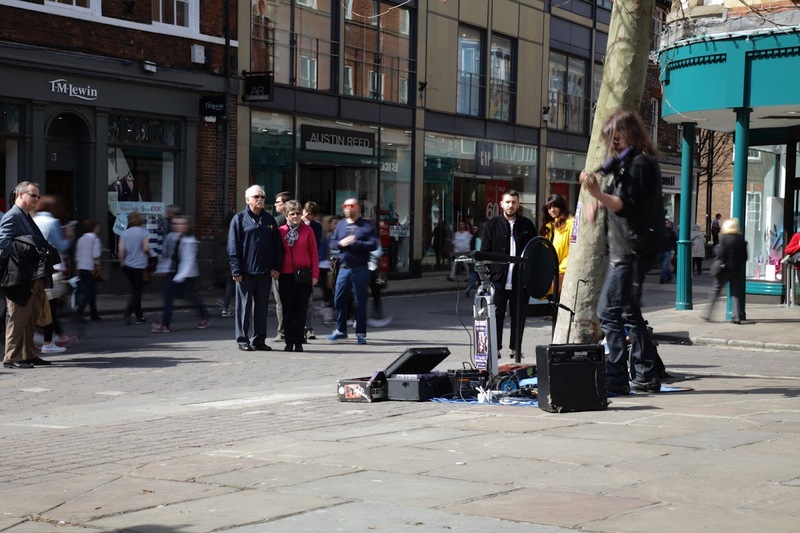 A one man orchestra, and you can tell people were impressed! Look him up on Amazon for an audio preview and let yourself “teleported” to York. 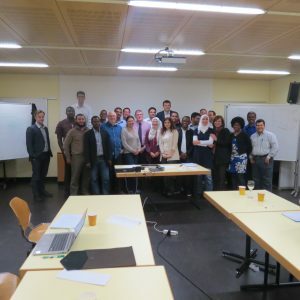 Thanks again to all of you attending and sharing with the rest of us your life experiences, visions for the future and hopes for a renewed meeting at the November graduation, be it 2013 or 2014! See you all there!